Zhengspawn the Younger has begun to dabble in LEGO Mindstorms, and since our kit has been floating around the house for the better part of three years, naturally a piece or two has gone to the great scrapyard in the sky. I’ve got a 3D printer and some modeling software, so a replacement part isn’t too hard to hack together, although I did have to go through a couple iterations before I got a snug but not too snug fit with my homebrew axle. Note to LEGO, not that they need my help in dominating this particular toy niche: I’d pay for a LEGO-certified chunk of gCode for printing my own replacement parts instead of futzing with calipers and test prints and acetone. The axle’s cruciform profile means I can’t lay it on its side for printing; it’s got to go straight up. But it’s a really narrow print which means it’s likely to topple if I print it as-is. So I made a little base for the axle and printed with 100% infill. The model prints in about half an hour, and after a quick wipe of the axle with some acetone to smoove out the printing ridges, Zhengspawn’s Mindstorms bot is off to the races. Now. Usually I boolean join my multi-part models together so that ReplicatorG doesn’t make a hole at the intersection of two separate pieces of geometry. 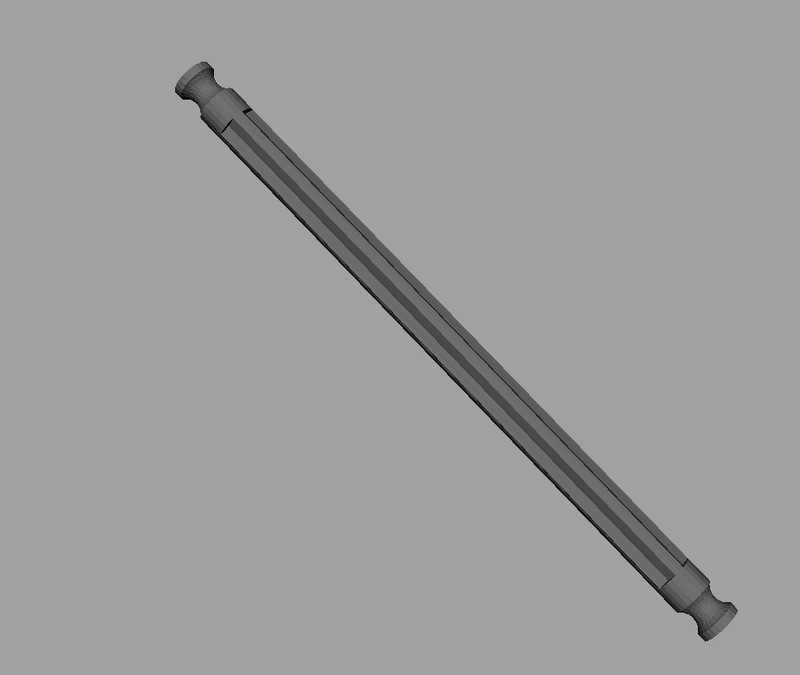 If the shaft and base were booleaned together, they’d need to be cut apart with a hobby knife. This can be a little tough when printed at 100% infill. See how the edges on the top of the base connect to the bottom of the shaft here? This model is watertight– as far as ReplicatorG is concerned this is one contiguous mesh. But. If one just kinda jams the two pieces together without actually joining the geometry, ReplicatorG will create a very delicate connection, easy to snap off after printing. Usually this self-intersecting geometry is a problem in 3d printing, like it was with my Gingerzombie cookie cutters, but here it’s actually an advantage in creating the final product. This entry was posted in 3D Printing, tinkering and tagged gingerzombies, lego, mindstorms, technic on May 9, 2013 by zheng3. The implication of these articles is often that $manufacturer is ultimately screwed. Sooner or later, The Future will arrive and $manufacturer‘s revenue stream will dry up as we all print their products willy-nilly in our living rooms. This afternoon my son was playing with the new K’Nex set graciously provided by Grandpa and Grandma. He couldn’t find the one gray piece he needs to finish his roller coaster, so I volunteered to print him one. Thingiverse doesn’t have the specific piece I need. Nor should they; K’Nex owns the rights to their designs and they deserve to profit from them. They’ve invested the capital in building their factories and hiring designers, and it’s their right to enjoy the fruits of their efforts. Thingiverse probably doesn’t want or need the legal headaches associated with hosting knockoff models of popular toys. So Thingiverse doesn’t have the piece I need, but they do have pieces from the Universal Construction Kit, which lets one link toys that weren’t designed to be linked– Tinkertoys to Lincoln Logs, Duplo to K’Nex, and so on. So I grabbed a K’nex -> Duplo connector, did a little vertex surgery, and now I have the piece I need as a 3D model. This is what I got, printed in red ABS. Note the difference between my bootleg copy and the original. Cue sad trombone. You could argue that the MakerBot Replicator is *the* top-of-the-line home 3D printer. There are others in its price range that have more or less the same capability, and if you go an order of magnitude more expensive you can get yourself a small industrial quality prototyper with superior resolution. Part of this failure is surely inability to configure my printer settings properly, but I think a larger part of it is that the Replicator just can’t print this precisely yet. K’Nex parts are cast in ABS, which effectively means they’ve got molecular-level resolution. No way I can get that on my desktop in 2013. A further limitation of the additive printing process is those overhangs– even if I could get the resolution right, gravity would pull those long grooves down and make the part significantly less K’Nex-able. You might get around this by printing the entire piece as a column, but my experience in printing toothpicks vertically is that they tend to fail. So K’Nex gets a pass until the resolution of home 3D printers increases. Maybe the Form1 will be able to do it. We’ll have to wait until the Form1 is out in the wild to see. I’m hopeful, because right now a lot of my ideas are limited by resolution and gravity. What about lower-resolution objects, like Tinkertoys? 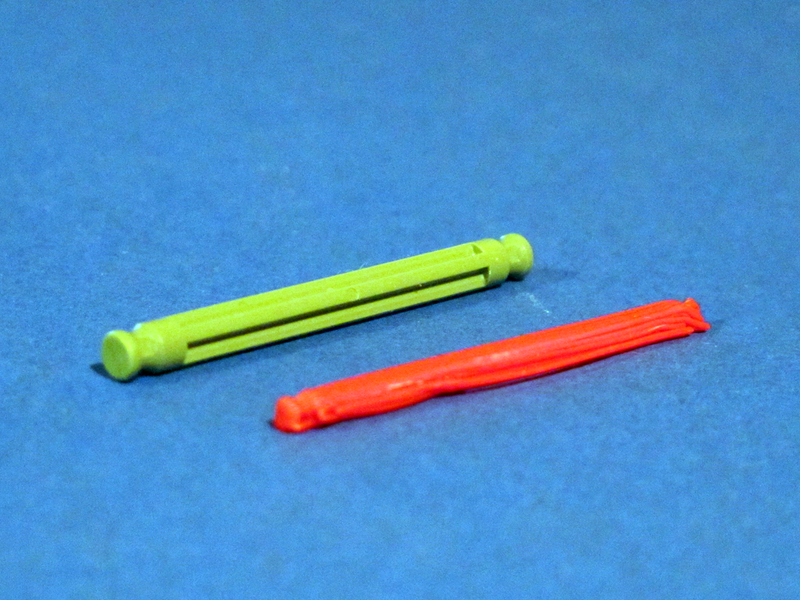 Tinkertoys are well-within the resolution range of the Replicator. I’ve already made a couple of Tinkertoy-compatible items. There’s nothing stopping me from printing a Tinkertoy clone right now except time, but the manufacturing process that makes Tinkertoys at gets them to the toy store (or, in my case, Amazon) is so much more efficient than a Replicator that it just doesn’t make sense, it can’t *ever* make financial sense to print these toys at home unless the price of plastic feedstock drops to near zero. So I don’t see home fabrication of toys taking off anytime soon, but here’s what is happening. People are using their 3D printers to extend the capabilities of their existing toys. This is the emerging symbiosis: traditional manufacturing is now and likely will forever provide the base of the mass-market toy experience, cranking out LEGO bricks and Lincoln Logs by the millions. 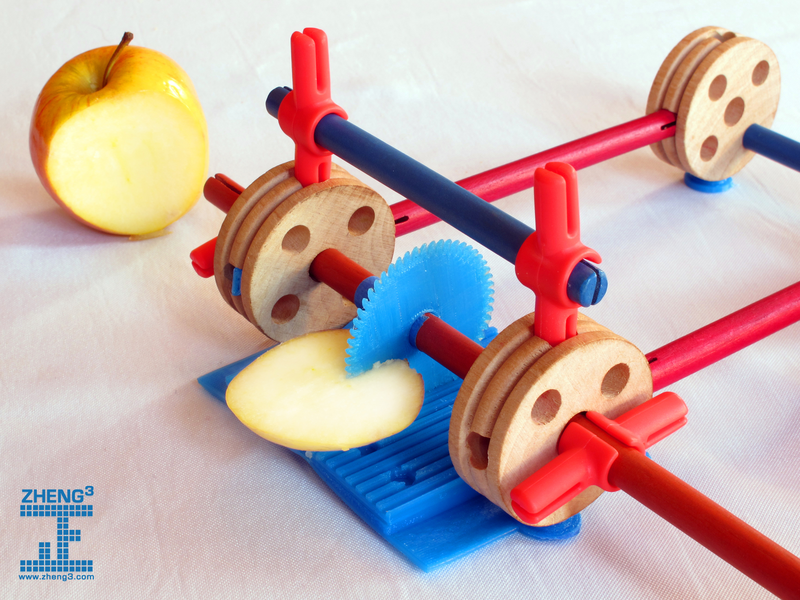 Home-based 3D printers will make small production runs for niche items– gears that extend your Tinkertoys, wacky Lincoln Logs accessories, and the like. Over time, $manufacturer will adapt to the proliferation of high-resolution home printers by offering certified premium models, guaranteed to be interoperable with their mass-manufactured cousins. In short, I think 3D printers aren’t going to kill the toy industry, they’re going to make it much more creative. And haven’t even mentioned new toys like Dutchmogul’s Pocket Tactics, or my pet project, Seej. This entry was posted in 3D Printing, seej and tagged duplo, filabot, k'nex, lego, pocket tactics, The Future, tinkertoys, toys, Universal Construction Kit on January 4, 2013 by zheng3.